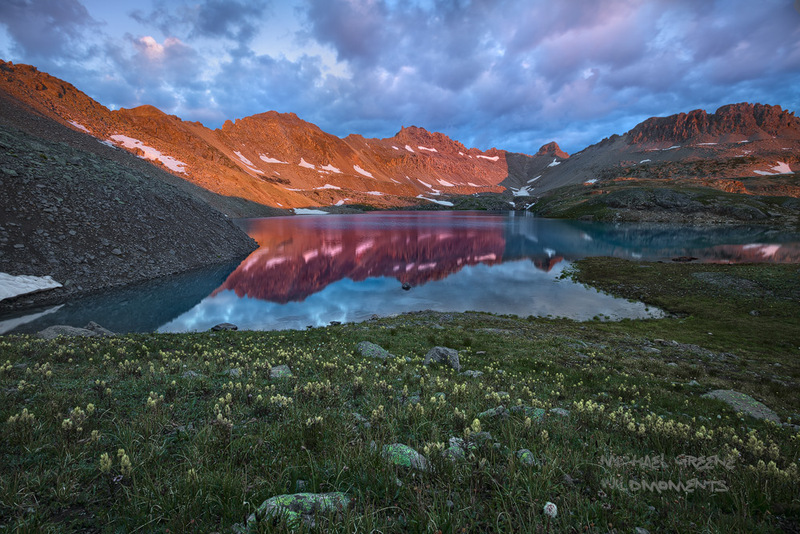 Colorful alpenglow reflects off of teal blue water during a summer's dawn at Columbine Lake. This hiking trail is located near Silverton, Colorado. Photo © copyright by Michael Greene.